Once you’re done with your online college degree, it’s time to move on and get a job. And once you’ve landed an interview, you’re probably wondering what you should do to get ready and be prepared. With the help of these blog posts, you’ll be confident and ready to go. 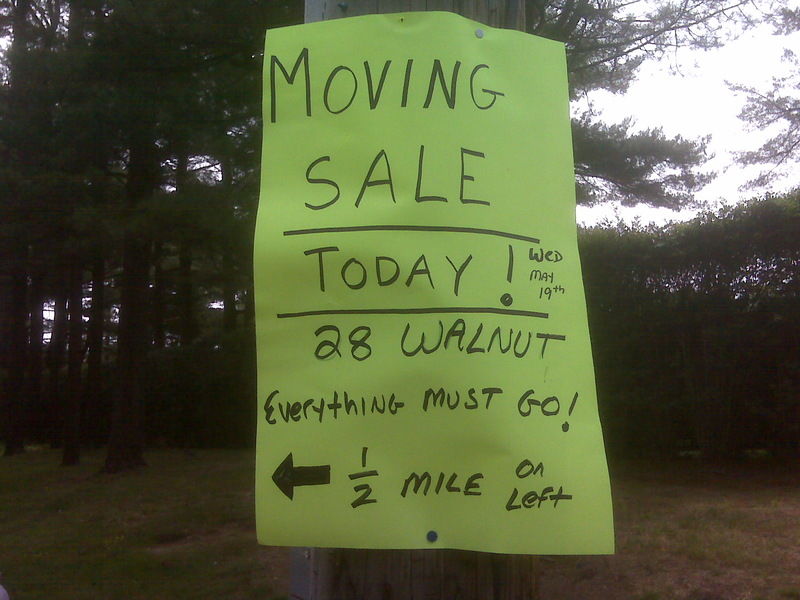 Moving Sales are a great resource. During the summer they are everywhere! Subscribe, preferably in advance, to the local version of Time Out Magazine. You may not be able to do everything, but at least you know what’s happening. Read the classified ads or the local Craig’s List postings for a week – there’s no better window on your new world. Read the government/community section of the phone book. Usually these are an overlooked mine of information, and will have the answers that newcomers need that established residents frequently don’t know. In the same vein, where is the nearest 24-hour pharmacy, late-night diner, Fedex, and Kinkos? If you’re moving into a development or community with rules about everything from dogs to garbage sorting to the height of children’s playhouses, find and read the rules carefully; it would be a pity to needlessly alienate your neighbors before you’ve even had the opportunity to meet them by breaking rules that you didn’t know existed. Spend fifteen minutes studying a map of the city. Use the information as described below. Spend some time with an atlas to understand the city’s geography and “micro-climate.” Frequently, a glance at the atlas explains why the city is there in the first place (like it’s at the confluence of two rivers). Google Earth is, of course, great for this. Read a history of the city and visit the local museum. Why are the major streets called what they are called? Why is the city here instead of fifteen miles south? What are the “eras” of the city? Learn the three largest local employers and try to tour one of them. Who owns them? Even if you have no kids (that you know of) learn about local schools, both reputation and schedule. Same for local Universities. It is too big a part of other people’s lives for you to be completely unaware of—remember how much you loved spring break? Learn state/city bird, flower, motto, etc. These little pieces of trivia help you understand more about the history and identity of the city or state, usually open another avenue of its history, and help make much of what you see and hear make sense. Even if not religious, learn top three denominations, etc. 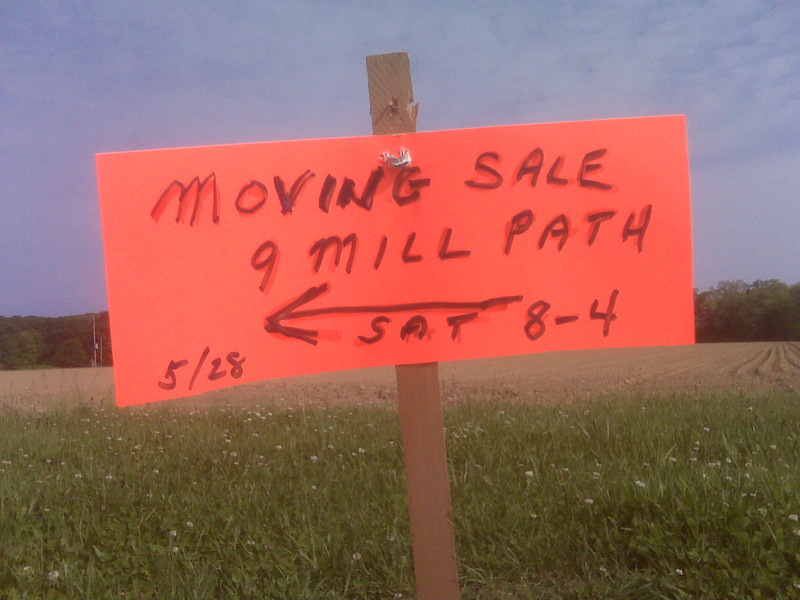 Yet another moving sale sign I snapped a picture of last weekend. Bloomberg has a part of their website that lets you set up and track local stocks: do that for the area. Everyone else will be. Learn the sports teams (and coach’s names) local politician’s (and their spouses) names, etc. While you’re there, look at the names on the donor wall. Do some research into those people whose names appear prominently. At least be aware of the existence of major country and city clubs. Keep a map of your neighborhood on your refrigerator and, as you meet your neighbors, pencil in their names and any salient details: kids, dogs, etc. As you can see, if you were to do even half of these things, you would feel far more at home, far more quickly– acclimation that would free you up to be fully mentally engaged in making your mark in your new business environment. MYFOXNY.COM – It is graduation season, which means that pretty soon thousands of young people will be looking to enter the job market. In my interview with FOX 5, I provide tips for landing the job of your dreams. In the interview as well as the book, I address the biggest mistakes that college graduates make, tricks for phone interviews, what applicants should do if they don’t know the answer to a question, and more. 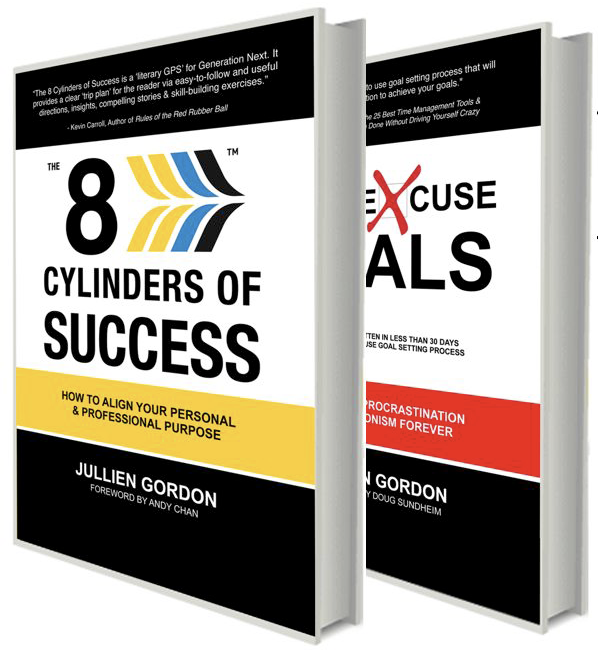 I am proud to announce two new books by my colleague, Jullien Gordon: The 8 Cylinders of Success and Good Excuse Goals. The first books helps you figure out where to go in life personally and professionally and the second book explains how to get there through community and goal setting. Jullien’s ultimate intention is to create the world’s most effective purpose-driven goals setting community. The 8 Cylinders of Success addresses underemployment—the state of employment where an individual is working below their potential because they aren’t passionate about the work or their employer doesn’t bring out the best in them by allowing them to play to their strengths. Good Excuse Goals is new goal setting methodology proven to end procrastination and perfectionism forever through setting event-based goals in small groups every 30 days instead of date-based goals every year. All pre-orders receive free shipping and will be delivered by December 15th, just in time for the holidays. Order one as a gift for someone you know and one for yourself. Thank you for supporting Jullien in his pursuit of his purpose as he seeks to help others find and align their lives with their purpose! So You Want Your Kid Out of the Basement…. Hotkitty and its ilk,shaft@hotmail.com are not appropriate email addresses for use in any situation. Additionally, I’m not a fan of obscure combinations of letters and numbers. While it might be immediately apparent to them that this address is their initials/birthday or some such, they are making others work too hard to remember it. And, as we’ve learned, when you make me work too hard I feel stupid, and when I feel stupid, I don’t like you. Instead, have them buy their name as a dot.com. Why? Because linking their email to a service that is used by millions of others (gmail, aol, roadrunner, etc) doesn’t leave the impression of them as unique—as a force to be reckoned with. Buying their name tells others they take themselves seriously. Again, having a business card signals the world that they take themselves seriously. What do I recommend these include? Their full name and contact information, and multiple ways to reach them (email, snail mail, land line, cell, skype, etc.) Different people are comfortable with different forms of communication—so make sure they have a number of different options on offer. What don’t I want to see? I’d prefer that cards not include a description of what they want to do, because while they may indeed want be a writer, designer, agent, or producer there’s a whiff of desperation to including that on a card. I also don’t recommend including slogans, mission statements, affirmations, inspirational sayings, etc.